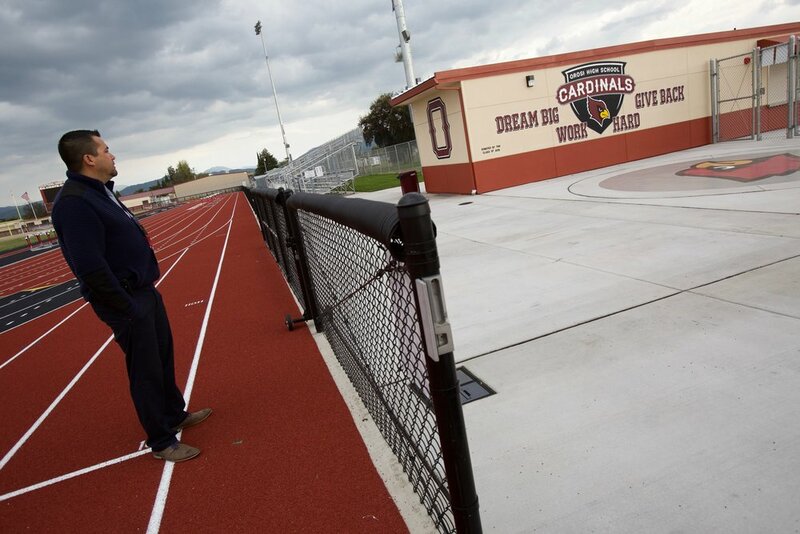 The speech team members and their peers at Cutler-Orosi Joint Unified face a triple-threat of challenges, each of which has been linked to poor academic outcomes, and the cocktail of which would be daunting to any school district. First, there’s the poverty: the district has the third-highest rate of poverty of any unified school district in California, a factor repeatedly linked to low test scores, high dropout rates and more. Read more at the Fresno Bee. 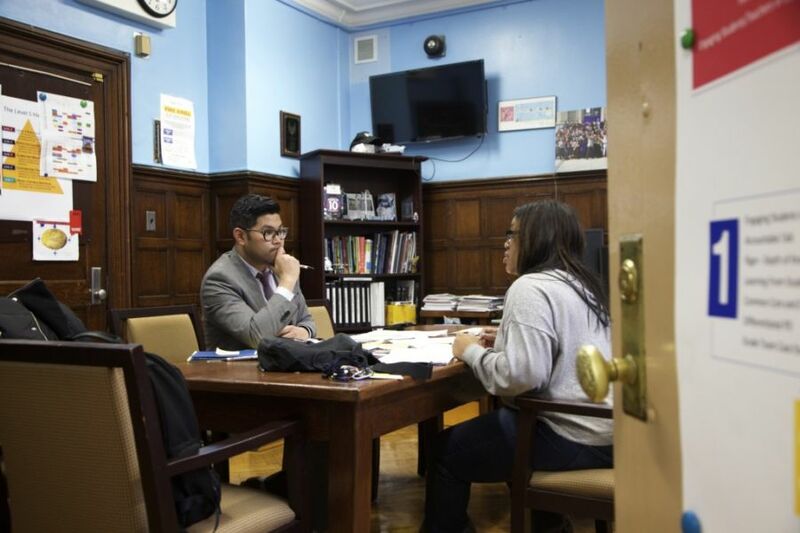 In one of the poorest neighborhoods on the very edge of New York City, the Queens High School for Information, Research and Technology took in more undocumented arrivals than any other school in New York. Read at Chalkbeat. Students who work overnight jobs sleep for just a few hours before heading into classes at a Queens high school. New York Labor Law says 14-15 year olds can work only from 7 a.m. to 7 p.m., but their employers flout the law. Read at Chalkbeat. The daycare shortage affects both middle- and working-class families, the latter of whom face waits for subsidies while the former shoulder steep tuition costs for full-time care. Both groups have to contend with a scarcity of openings in licensed programs. Read at the Fresno Bee. Instead, the American Nurses Credentialing Center informed her that the program she’d spent $7,200 on wasn’t accredited as advertised, and that she was not eligible to test for the certification she needed to keep seeing her psychiatry patients. Read at the Fresno Bee. The last drought caused many Californians to rip out their lawns, creating patchworked neighborhoods where desert landscaping runs into dirt lots. But some now believe the emergency is over. Read at CityLab. Gonzalez said that despite her staff working overtime all year, her office simply does not have the resources to process all applications within 90 days, and that the governor’s proposed budget does not provide enough for the next year. The governor’s 2019-20 budget reduces the general fund amount dedicated to foster family approval from $32 million to $8 million, a study by the Legislative Analysts’ Office found. Read at the Fresno Bee. As Kahoot has exploded in popularity in classrooms, some students have taken to programming bots to spam their class quizzes, with the aim of halting the quiz, flashing an inappropriate name onscreen or getting the answer key. Read at the Fresno Bee. Did Fresno Unified overpay for fruits and vegetables by hundreds of thousands of dollars? Invoices show the district paid a few cents more than the bid price for a number of individual fruits and vegetables, like yellow peaches and nectarines. But those pennies per item over the years add up to a lot of money at a district the size of Fresno Unified, a supplier said. Read more at the Fresno Bee. More than one-third of Fresno County’s voters are under 35. But are they voting? Fresno County has one of the highest rates of registration for voters under 25 in California: 14.1 percent of all registered voters are under 25, putting the county above the statewide average of 12 percent and sixth among all 58 counties in California. Of 448,237 registered voters in Fresno County, 63,221 are under 25. Read at the Fresno Bee. The plaintiffs claim to have suffered anxiety attacks, migraines and flare-ups of medical conditions as a result of the coach’s actions, to the point that one of them had to delay her collegiate career for a year, the lawsuit says. Read at the Fresno Bee. Video footage released Wednesday shows a physical scuffle between a Bullard High School student and Fresno Unified Area 7 Trustee Terry Slatic. The video was released in response to a public records request from the Bee. The Bee later obtained a full report on the incident, as well as emails between district officials via records requests. Read more at the Fresno Bee. During the school year, Fresno Unified has an average of 15 books per student, a number the California School Library Association categorizes as “making progress.” But like most districts, Fresno Unified doesn’t keep its libraries open during the summer. Some summer school classes have classroom libraries that are available to students, but for all others, the only way to get a book is to buy or borrow one. Read at the Fresno Bee. The district notes in the LCAP that it believes that the expenditure is the “most effective means of decreasing student discipline, decreasing truancy, enhancing school safety and providing a positive school culture particularly with the EL, LI, and FY student populations.” Read at the Fresno Bee. The teenage detainees at the Juvenile Justice Center in Fresno don’t have a lot of choices – certainly not about what time they wake up to begin their day with stretches and push-ups, nor how long they can linger over breakfast before they go to classes, nor, on weekends, whether they clean up their cells. But once a month, they choose to discuss literature. Read at the Fresno Bee. Should student teachers have to pay for in-classroom experience? Teaching students at Fresno State are crying foul over a policy that requires them to pay 12 percent of their paychecks back to the university. Read at The Fresno Bee. Some teachers have resorted to crowdfunding sites in order to purchase the most basic of classroom essentials: desks and chairs. Read at The Fresno Bee. Before there were political action committees, there was Stanley, following female candidates to conventions with stacks of T-shirts and buttons to raise money for their campaigns. She wrote one of the first checks to Karen Humphrey’s campaign for Fresno City Council, and donated her extra spending money to other promising up-and-comers like Nancy Pelosi and Donna Brazile. Read more at the Fresno Bee. Like hearing that the sky is actually purple, or that penguins are mythological creatures, the truth runs counter to everything they’d heard before, and all that the people around them believed. Read at Popula. When rhetoric wasn’t enough, Milosevic and his allies would literally stop the presses, manufacturing newsprint and paper shortages, or offering up other reasons to halt publication. Read at Narratively. All families in distress try to shield their children first. And mine couldn’t possibly explain to me that war had led to hyperinflation and sanctions, which were starving the country. Read at BuzzFeed.